I’ve finally decided to go indie. Or at least, add indie publishing to my authorial bow (or quiver or whatever). I’ve been toying with the idea for quite a while, at least since this time last year, but I can remember very clearly the point at which I switched from hmmm maybe I should try this indie publishing thing to yes, I’m going to publish something. I was driving to work (along Terminal Avenue, specifically), rolling the idea of self-publishing something around in my head. I don’t know the exact date but it was in February. I know that because my wife was in the UK and the Winter Olympics was on. I was trying to come up with a way to dip my toe into the indie world without investing a ridiculous amount of time into editing, covers etc. I didn’t want to publish a full novel but I knew short stories had limited success. Then it hit me. I had an unpublished zombie story, The First Zombie Hunter, that was around 5,000 words long and had the potential to be expanded into a novella. It was perfect. It was something new to write but I had a good chunk ready to go and it wasn’t as big an investment as a novel. I even had an idea for a cover although I had every intention of hiring a real artist to actually create it. Sadly, when I got home and reread The First Zombie Hunter I realised a) it was only 2,000 words long and b) it wasn’t very good. Oh, and my first choice of cover artist wasn’t taking commissions. Still, somewhere in my head, a switch had flipped. Now I wasn’t debating whether to self-publish but what I should self-publish. For the next few weeks I flip-flopped around (metaphorically, not literally), bouncing from idea to idea. Should I write the novella anyway? Should I publish Glitch Mitchell and the Unseen Planet? What about The Ghost Smuggler? Then it hit me. I had the rights to some short stories that had been previously published. They would be perfect. At this point I had four options. I had a whole bunch of short stories, some of which had been published and some that were unpublished but that I thought were good enough to be sent out into the world. I had an early draft of Glitch. I also had an early draft of The Ghost Smuggler. Or I could write something new. Decisions, decisions. Then there was the question of genre. Those novels are both science fiction, although they’re quite different. My short fiction is all over the place. It’s all speculative fiction but that’s about as much commonality as you’re going to get. All of these decisions rattled around in my head for months (and I do mean months) while I researched self-publishing a little bit more, set up accounts with Amazon, Smashwords and Draft2Digital, filled in the appropriate tax forms etc. Gradually, I began to formulate a strategy. I’d start with some short stories, some previously published, some new and then move on to a full length release. That way I could get used to the publishing and marketing side of things without diving straight into a novel with all the scope and complexity that brings. Although short stories have a limited market, they do give readers something else to buy if they like your work. That idea of taking up more “virtual shelf space” is a very important for indie authors. My original plan was to focus on my horror short stories but along the way I managed to pick up some very cool science fiction covers and line up a professional editor for Glitch. So the strategy changed and I’ll be kicking things off with a series of science fiction short stories. Glitch Mitchell and the Unseen Planet will come out early next year as a print book, an ebook and a free weekly serial here on the website. The horror fiction will follow at a later date. 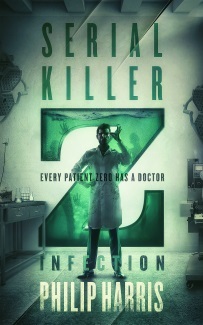 Probably just before The Zombie Book is released (assuming I go the indie route with that as well). The fate of The Ghost Smuggler is still undecided. 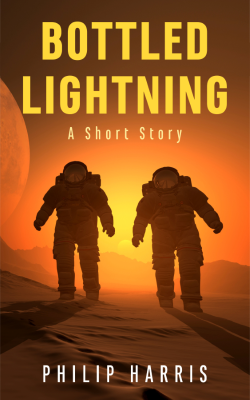 So today, after much procrastination and several almost fatal bouts of analysis paralysis, the first of those stories, Bottled Lightning, is available from Amazon for the bargain price of 99c (or as low a price as I can set on the local Amazon stores). For the time being, it’s exclusive to Amazon but I expect to get it up onto the rest of the stores next year. For husband and wife team, Alex and Lisa, the trip across the volcanoes of Mars is a chance to escape the monotony of life at Gale Crater. But now they’ve found something, or someone, and everything is about to change. Bottled Lightning is a short science fiction story, approximately 19 pages long. A big thank you to Humble Nations for the cover, and Carol Davis from A Better Look Editing Services for the copy editing. I’ll be releasing two more short stories in the next couple of weeks – one next Monday and one the Monday after that. Drop by on Thursday for details of the next release or you can sign up for my newsletter, get a free book and hear about all three releases before anyone else. If you do pick up Bottled Lightning, I’d love to hear what you think of it. An honest review on Amazon or Goodreads would be even better. Reviews really are the lifeblood of indie authors. In the meantime, I’ll be off watching my Amazon sales graph.